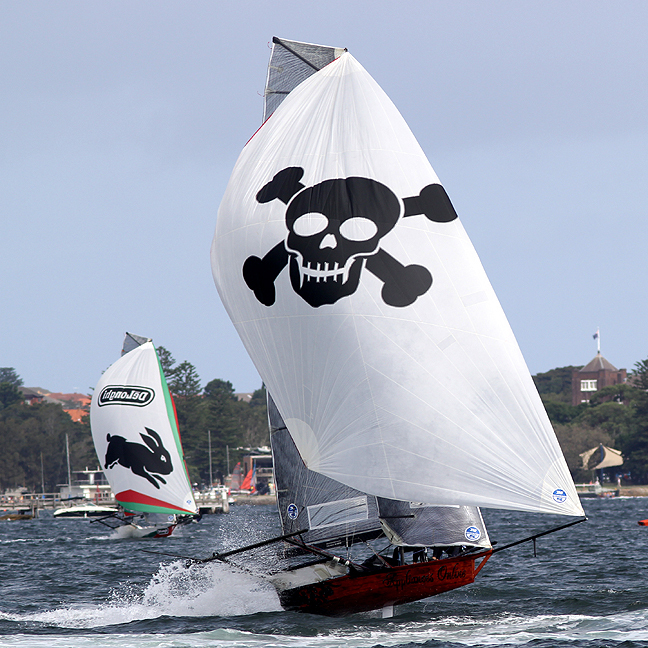 Gotta Love It 7 became 2013-2014 NSW 18ft Skiff champion today after finishing second today behind Rabbitohs-Kenwood in Race 5 of the championship. In one of the closest finishes seen on the harbour for 2-3 seasons, Rabbitohs-Kenwood (Brett Van Munster, Joel Castle and Kurt Fatouris) came back in the final 100 metres to take the victory by just4s. Sydney City Marine (David Witt, Tom Clout and Matt Wark) was 1m23s back in third place, ahead of Appliancesonline.com.au (Micah Lane), Thurlow Fisher Lawyers (Michael Coxon) and Smeg (Nick Press). Gotta Love It 7, with two replacement crew members, Dave Gilmour and Rhys Mara (for Seve Jarvin and Sam Newton), joining regular sheet hand Scott Babbage for the day, finished with a final total of five points to defeat Thurlow Fisher Lawyers (Michael Coxon, Dave O’Connor and Trent Barnabas) who finished second overall with 14points. Smeg (Nick Press, Dan Phillips and Dave Ewings) also finished with a total of 14 points and was placed third behind Thurlow Fisher Lawyers on countback. 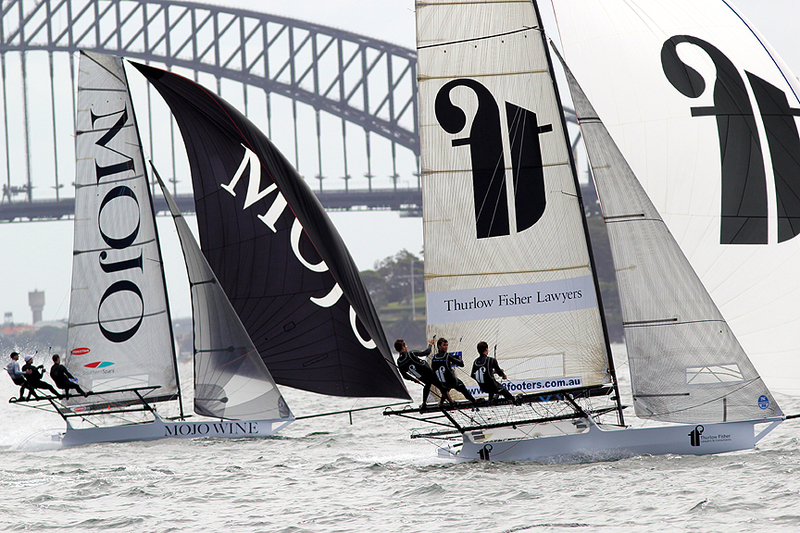 Sydney City Marine was fourth on 15 points, followed by Coopers 62-Rag & Famish Hotel (Jack Macartney) on 21 and Mojo Wine (Chris Nicholson) on 25. Today’s last race of the NSW Championship was sailed in a 10-15 knot SE wind which produced a close race and a wonderful finish which had the crowd on the spectator ferry cheering wildly. 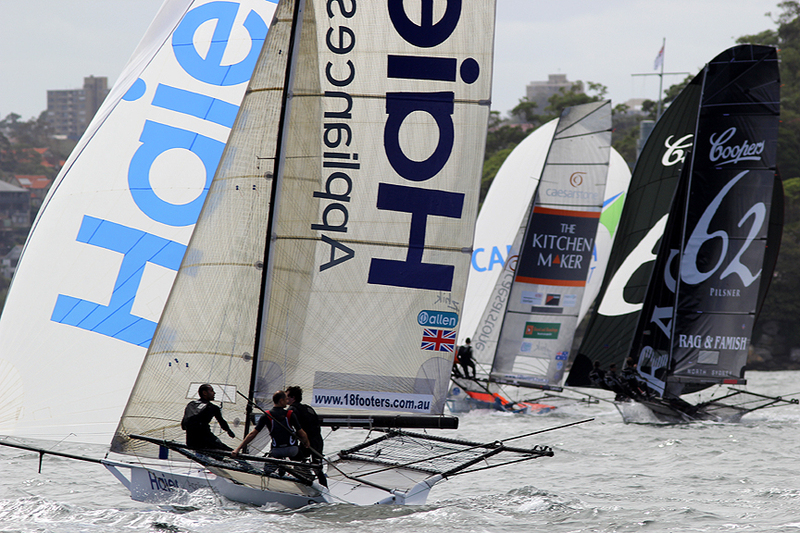 The first windward leg across the harbour from Taylor Bay to Rose Bay saw the fleet split into two groups. Most teams elected to sail the conventional (eastern) side of Shark Island while Rabbitohs-Kenwood led a small group which went to the western side. When the two groups met in Rose Bay, Rabbitohs-Kenwood led Gotta Love It 7 by 35 seconds, with The Kitchen Maker (Rob Bell) in third place ahead of Thurlow Fisher Lawyers, Pure Blonde (Nick Daly), Mojo Wine (Lee Knapton), Sydney City Marine, Lumix (Jonathan Whitty) and Haier Appliances (John Sweeny). The Rabbitohs-Kenwood crew set their spinnaker soon after rounding the mark while most of those behind them elected to two-sail reach before going for their spinnakers. 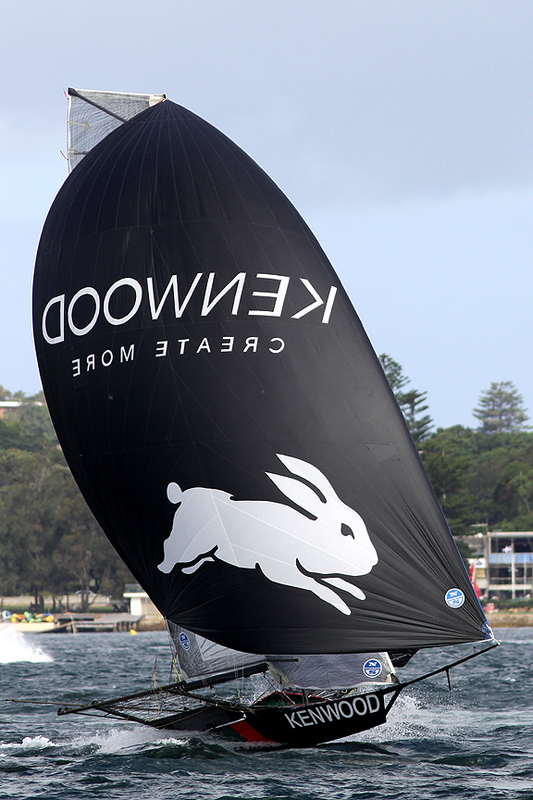 It was a winning move as it allowed Rabbitohs-Kenwood to open up a lead of 1½m at the bottom mark. The breeze was a lot lighter at that part of the harbour and positions changed dramatically throughout the fleet. 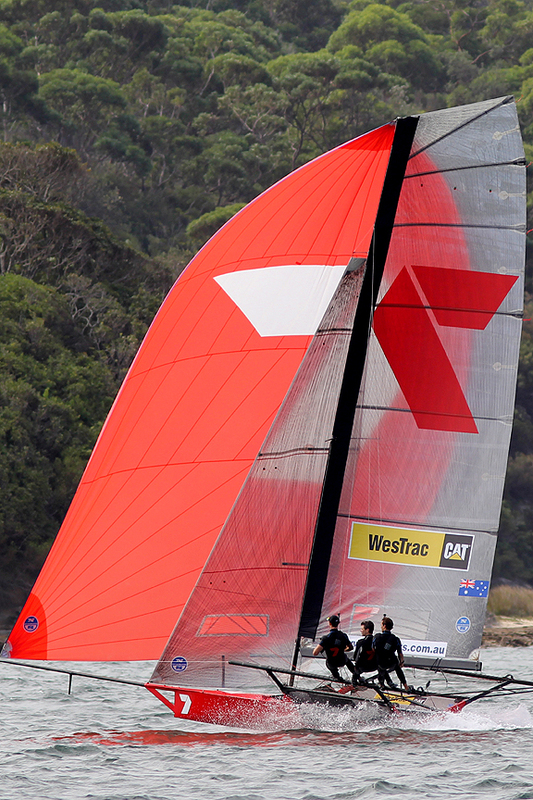 Gotta Love It 7 showed far superior speed upwind and halved Rabbitohs-Kenwood’s lead at the Clarke Island buoy. 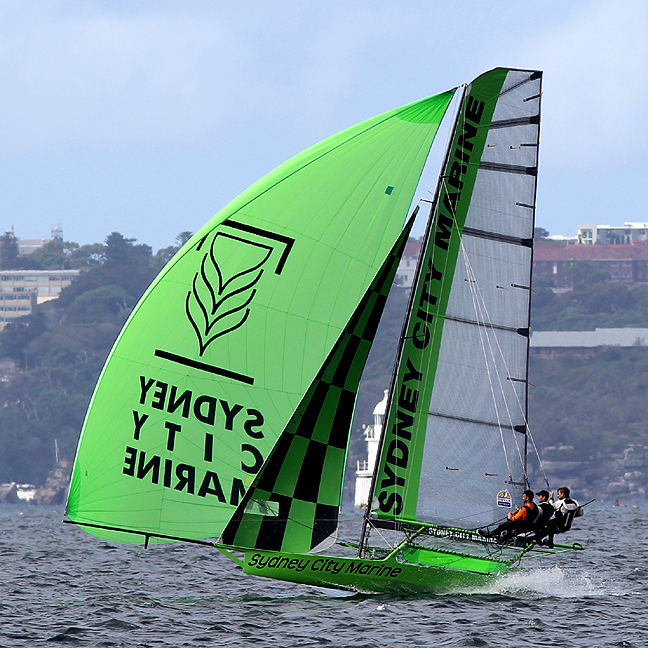 Sydney City Marine was in third place, more than another minute behind ‘7’. On the next leg to Chowder Bay, Gotta Love It 7 set a spinnaker soon after rounding Clarke Island buoy while Rabbitohs-Kenwood went for the two-sail reach until late in the leg. This proved to be the best method again for Van Munster and his team as they increased their margin to more than one minute over Gotta Love It 7. The two teams were having a great battle and things excited the crowd when ‘7’ got to within 10s with three legs of the course still to be sailed. 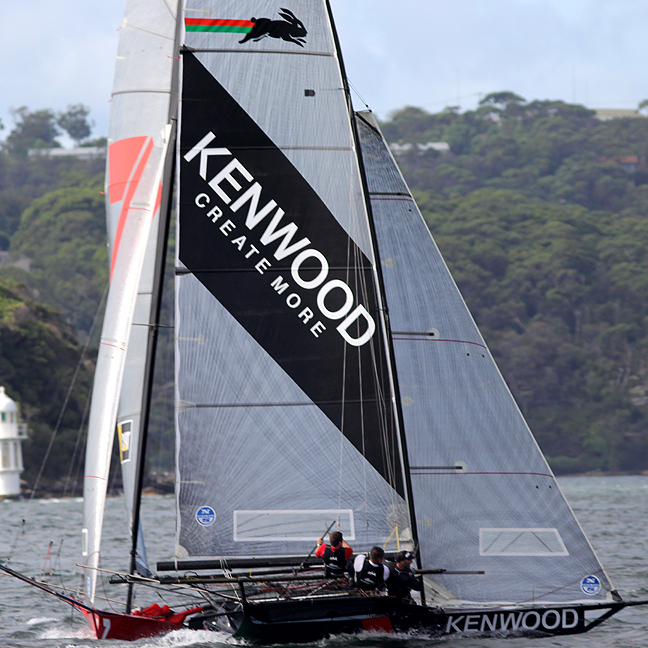 Rabbitohs-Kenwood created some breathing space at Rose Bay for the final time, but each team reversed their original decision on the first lap of the course for the run to the bottom mark. It was the first mistake by the Rabbitohs-Kenwood team and allowed Gotta Love It 7 turn for home with a 4s lead. All looked lost for Rabbitohs-Kenwood as the two boats sailed leg for leg up the final work to the finish and it wasn’t until the last 100 metres before Rabbitohs-Kenwood regained the lead. 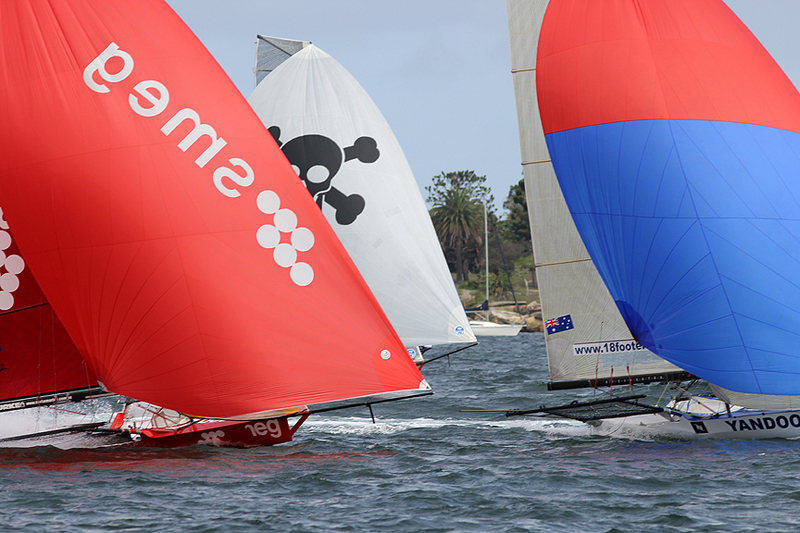 The race had additional interest for local spectators as two of the visiting international teams (CST Composites USA and EuroLink Germany) took the opportunity of having a hit out prior to next week’s JJ Giltinan Championship.